They’re here! 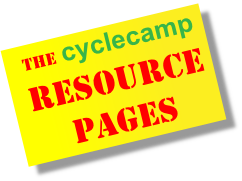 The cyclecamp resource pages! 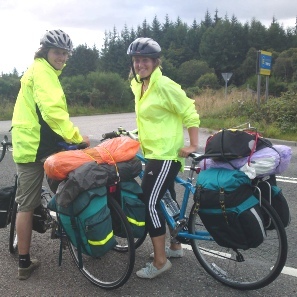 The cyclecamp resource pages are pages of information on nearly everything you need to know to get you cycle camping - from what to pack to top tips for dealing with the rain or mending a puncture. They’re a quick digest of what you need to know - so you can read up and get cycle camping as soon as possible. We’ll be adding new pages all the time so look out for new ones. Click on the green menu on the right on any of the topics you like. When you’ve read it, let us know if you would like to see anything added to it. You can contact us here. And if you have an idea for a page that isn’t yet there why not drop us a line here. And good luck with your trip! You want to head off into the big wide world with your stuff on a bike. You want to take in the fresh morning air. 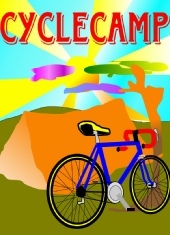 Why cycle camp?Get cycle camping! What to takeHow much can you carry?